Our Partner Connections make it possible to deliver an unforgettable, all around experience. Chimney Rock is proud to partner with the following tourism organizations. Visit their sites to learn more about all the ways they contribute to our spectacular region. Southern Highlands Attractions is a group of attraction partners, including Chimney Rock, within the southeastern United States, including The mountains of eastern Tennessee, northern Georgia, western North Carolina and Virginia. Visit SouthernHighlands.org for a complete list of attractions, and be sure to make them a part of your next trip! Just down the road from Chimney Rock lies Lake Lure, a town that is influenced by the lake and mountain resorts of Europe and envisioned as a sanctuary for serenity and relaxation. It has evolved into a place where generations come to reconnect and newcomers discover a retreat from the rigors of day-to-day life. Stay at one of its relaxing inns, take a stroll along the river or enjoy a boat tour on the lake. Step outside the front gate of Chimney Rock and you’ll be in Chimney Rock Village, a quaint, quirky little place full of fun. Don’t miss exploring its shops, eateries and the RiverWalk that meanders next to the Rocky Broad River before you leave! Cradled in Hickory Nut Gorge, we are Lake Lure and Chimney Rock Village. We are Bill’s Creek, Bat Cave, and Gerton. Lofty Views. Deep History. Find out how easy it is to live, work and play here. The Community Development Association (CDA) was created to promote economic revitalization of the Chimney Rock Village area. The CDA is furthering the solely tourism-based economy through the beautification of public and private places, the provision of public access to the Rocky Broad River at designated locations and providing an overall positive environment for our guests, visitors and residents. Retreat to a destination where simple pleasures outshine digital-age spectacles – a place where Main Streets reign over mega malls; where nature delivers the best adventures; and where history lives boldly and visibly in architecture, story, song and spirit. Experience these journeys and more when you visit Rutherford County located in the majestic Blue Ridge Foothills of Western North Carolina. 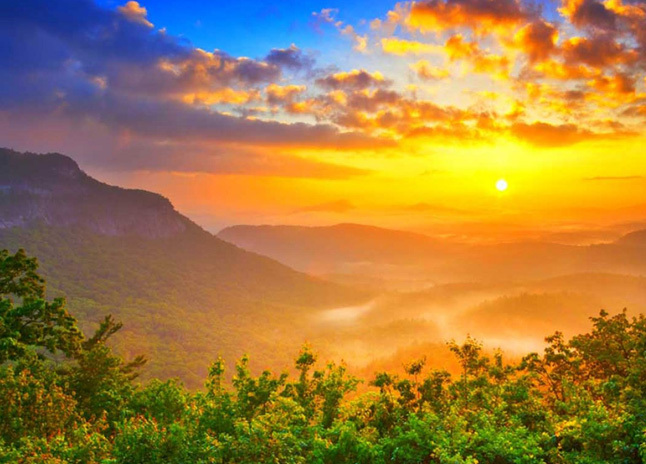 Home to Lake Lure, Chimney Rock, Rutherfordton, Spindale, Forest City and Bostic, there is a world waiting for you to explore, enjoy, and love. Visit their website for more information. The Blue Ridge mountains and foothills are so special, they’ve been designated a national heritage area. 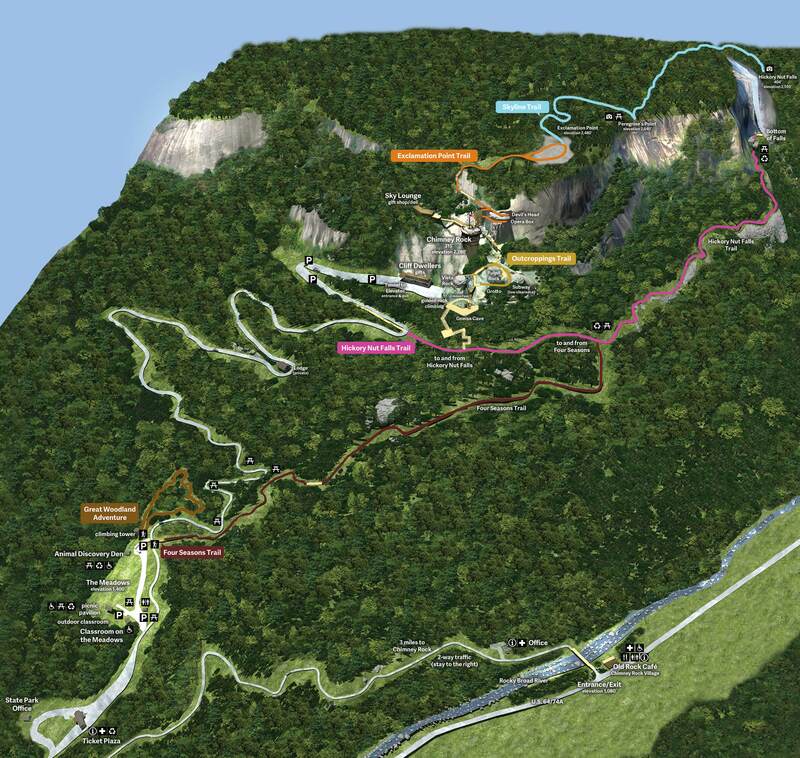 Both Chimney Rock State Park and Hickory Nut Gorge have been designated National Heritage Sites; look for Blue Ridge Heritage Trail signs in front of Chimney Rock State Park and the Lake Lure Visitor’s Center. Visit the Blue Ridge National Heritage Area website to learn more about how you can experience the abundance of natural and cultural treasures along the Blue Ridge Heritage Trail.